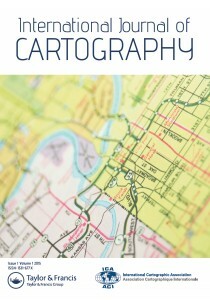 The International Cartographic Conference (ICC) takes place every second year in one of the member countries. Every second conference (every fourth year) hosts the General Assembly of the ICA. To get more information about previous and upcoming conferences, please select one following ICC conferences. For older ICCs we currently don’t have any digital information available – except a list going back to 1962. We are constantly trying to add more information about older conferences, but we need your help: if you have any digital or analog documents about past ICCs (proceedings, photographs, documents etc. ), please contact the webmasters. Orienteering plays an important role at the ICC conferences. Details on the orienteering events and papers at previous ICC conference can be found in the orienteering section. Aside of the ICC there are numerous conferences and workshops that are organised by ICA commssions and working groups or endorsed by the ICA – they can be found in the calendar section. I want to ask where we can apply for the map Award (ICA Map Awards at the International Map Exhibition? Dear Alexander Klaus, please find more information about this here: icaci.org/how-to-win-an-ica-map-award. Can associations of research become members of ICA? Dear Rafika, yes, please find more details here. In case of questions, please contact the secretary-general. Do you have any division or cooperation organization in Taiwan?